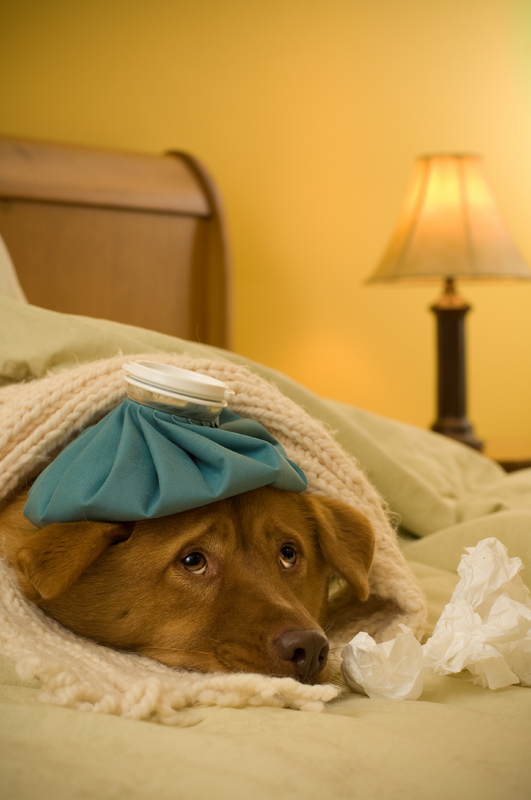 It appears dog flu is raising its ugly head again, this time in New Jersey. According to the Star Ledger, the virus has been found in Burlington, Mercer, and Sussex Counties. There is no cure, and as many as 80% of exposed dogs will get the disease. The American Veterinary Medical Association says that this virus was first found in racing Greyhounds in January, 2004. Some speculate that this is the result of the racing dogs being fed infected horse meat. The virus is a variant of the bird flu that terrorized Asia a few years ago. The virus passes quickly among dogs in social situations such as at daycares, kennels, and dog parks. About 2 – 5 days after exposure, 80% of dogs will begin to develop a cough, similar to kennel cough. The cough will last 10 – 21 days, in spite of treatment with antibiotics and cough suppressants. Some dogs develop a bacterial infection that leads to nasal discharge. In 5 – 8% of cases, it is fatal. Vets are currently working on a vaccine, but right now, treatment is aimed at making the dog feel better, keeping his fever controlled and making sure he gets enough fluids. Your vet can diagnose the disease with a simple blood test, but not until the dog has been exhibiting symptoms for at least 7 days. Before you board your dog or take him to daycare, make sure your provider is aware of the virus and is taking steps to avoid its spread. Sanitizing shared toys, furniture, cages, bowls, and bedding with bleach or quarternary ammonium will kill the virus and prevent its spread. Just as with human disease, staff handwashing is the most important thing that can be done to prevent disease transmission from one animal to another.